At the start of the year I posted a few goals that I was looking to achieve. April brought around a goals update post. Now that July is here it’s time for another update. After completing both pre-requisite MCITP exams I set an additional goal of taking the MCM written test prior to the end of Q3. This is still on track although the amount of knowledge required (just based upon the reading list) is more than a little scary. The goal was to present at four events this year and submit a session to the PASS Summit. As for the PASS Summit, as I’ve previously posted I submitted two abstracts but neither were accepted so I won’t be speaking there. The goal was to submit so I have to mark that as complete as well. In April I was at 50% on the presentations having spoken in Chicago and Olympia. In May I gave a presentation on Central Auditing of SQL Permissions with PowerShell & TSQL for the PASS PowerShell Virtual Chapter. 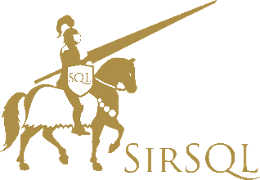 I’m hoping to speak at SQL Saturday #89 in Atlanta. Provided that I get accepted for Atlanta my presentation goal for the year will be complete. I’ve been writing more and not writing long yawn inducing posts, so going good. Waiting on a single piece of paperwork to come through. Out of my control at this point. I’m acquiring pieces bit by bit for this. Case, motherboard and power supply are here, CPU and memory to come next month and disk in September will complete this. No movement on this one yet. Overall most of the goals are going really well, there are a couple of places where I need to improve things but for only half way through the year I’m quite pleased with my progress. Next update right before the PASS Summit. Back at the start of the year as a part of T-SQL Tuesday #14 I posted a few goals that I wanted to achieve this year. A quarter of the way through the year I decided to throw out a quick post to see where I stand on those goals. My plan was to get my Database Development MCTS in Q1 and follow up with getting the MCITP in Q3. Things actually went a lot better than I thought they would with this. I came out of the MCTS feeling good, even though my passing was a close thing. I had heard that the MCITP for the development exam was easier, and as I had not used the second shot opportunity with the first I decided what the heck and signed up for that exam two weeks later. The MCITP was a breeze compared to the MCTS and I passed that and left the test center holding both the MCITP: Database Administrator 2008 and MCITP: Database Development 2008 certifications. My goal was to present at four events this year and to submit a session to PASS. I was picked to present at SQL Saturday #67 in Chicago. That was a couple of weeks ago and I thoroughly enjoyed myself there and blogged about the fun. Upcoming is SQL Saturday #68 in Olympia, WA. I was not originally going to submit to this event however due to a change in circumstances I was not able to take the vacation I had originally planned. I was again lucky enough to get chosen to present, this will be my second of four (planned) for the year. The call for speakers for PASS has not opened yet so I have not had the opportunity to submit my session. Blog frequently and include shorter posts just to say something quick. I went through a job change at the beginning of March which really ate into my time and prevented me from writing posts, reading posts or following Twitter. Now I have a handle on the new position I have found a little more time and can refocus back on this. I’ve still managed to average a post a week this year so far so I’m ahead of last year. Goal Status: Not bad, could be better. Need to refocus on shorter posts. No need to wax lyrical all the time. I need to still get a couple of pieces of paperwork for this. I should be able to pick those up this month and get the paperwork submitted. One of my chief goals this year was to find myself a new job. I was sad, bored and unhappy in my old role. This is obviously one of those things that you can’t just stick out there on a blog when you are searching. Happy to say that I found a position that was a good fit for me and that has a lot of things upcoming that I can leverage my existing experience in. There are also plenty of growth opportunities for me in the role and I will get to play with aspects of SQL Server that I would not have touched otherwise. Goal Status: Oh so achieved! As the year progresses things need to be reassessed. I’m well ahead on my certification goal. Actually I achieved that goal. I questioned internally whether I could actually complete this goal. My confidence level was not high. Fortunately my girlfriend Cami (blog|twitter) has more belief in me than I do in myself and persuaded me that I could do it. Given that she didn’t steer me wrong with the certifications before and she has told me that I could get the MCM I’ve decided to work towards that end. I’m certainly not in the position to take the written at this point, however I feel I could knuckle down and study for a few months, leverage my experience and have a reasonable shot of being able to sit down and get a few of the questions right in the exam come September time. Prior to moving to the US I had a license to ride motorcycles. When I moved here and took my drivers test to get a US license I did not go through the work to get the bike one at the same time. This has left me without one. Now I live in the Pacific northwest I look around at all the folks zipping around on their bikes and get jealous. I’ve been talking for the last two years about actually getting this endorsement, it’s time that I got off my rear and actually got it. It’s frustrating when you want to try something out and you don’t have the space or horsepower on your laptop to try it. I’ve been wanting to build myself a home lab for a while now. I’ve even had chats with Sean McCown (blog|twitter) on the best path towards this. I believe that this is something that I can get done by the end of the year. I just need a box or two and a bunch of storage with some virtual machines. Heck I’ve done that on my laptop, I just need to scale it up. Next follow up on my goals to come the first week of July. Newly minted MVP Jen McCown (blog|twitter) of MidnightDBA fame is this months T-SQL Tuesday host. Jen wants us to talk about resolutions. My personal laptop is a 1600 x 900. Oh wait, that’s a lousy play on words. I don’t actually do the whole resolution thing. Sure the day ticks over and the year changes from one to the next but it’s just another day. I know a lot of people have strong feelings about the New Year and potential for new beginnings, I’m just not one of those people. That being said I do have some goals that I aim to accomplish within the next few months. I completed my MCITP: Database Administrator 2008 (exams 70-432 and 70-450) last year and have been figuring that I should look at taking the MCITP: Database Development 2008 (exams 70-433 and 70-451). After all I’ve been doing this stuff for a few years now so it shouldn’t be too bad, right? Anyhow, thanks to Microsoft offering their Second Shot program I decided to just go ahead and do so. My first exam is scheduled for next month. Depending on how that one works out I’ll try for the other in July. I spoke at my first SQLSaturday in Salt Lake City last year. I really enjoyed it and want to present to at least four more events this year. I’ve already submitted a Powershell session for SQL Saturday #67 in Chicago, and hope to get chosen (there are a lot of submitted sessions already with some amazing speakers so if I don’t get picked there won’t be any disappointment on my part). Unfortunately I’ll be on vacation for the local event in Olympia so will be looking to see what other travel excursions I can take. I also made the decision that I would submit a session to the PASS Summit this year. I think the odds on my getting selected to present there are even less than they are at SQL Saturday #67 however I won’t be letting that deter me. I’ve certainly picked this up more in the last few months after a very wayward start. My posts usually take at least a couple of hours to put together, mainly because I am trying to do some knowledge imparting. Rather than just provide a script I try to explain the methodology behind it in the hopes that it will help you, the reader, to take that and expand upon what I’ve done. After reading Paul Randal’s (blog|twitter) post the other day “So you want to blog about SQL Server?” I’ve decided I’m going to intersperse some shorter posts alongside my rambling ones just so that I get some regular content out there. I really have one key personal goal to achieve in the next few months. I’ve been living in the US for about 12 years now. I’m not going to be moving back to England, I have far too many ties here, as such I need to knuckle down and get my citizenship sorted out. That is really my number one thing and takes priority over all the others. Fortunately there’s not much more to do than fill in a few forms, pay a bunch of money and wait to take the Naturalization Test (link goes to a self test on the USCIS site, take it and see how well you do). The test really should be easy to pass but I am going to be studying the heck out of it just to be doubly sure that I do. Not something I want to mess up.